Are You Fond of Seeing Beautiful Birds in Saudi Arabia? Indeed birds are one of the most beautiful creatures in the world and everyone is fond of seeing different types of lovely, dazzling and chirping birds. Are you a true bird watcher? Bear in mind that birds provide a wonderful nature experience for hundreds of thousands of humans on the planet. There are many kinds of unique and popular bird species that still exist in the world today for example Red Tailed Hawk, Snowy Owl, Lammergier, Barred Owl, Ducks, Mute Swan, Australian Magpie, African Ostrich, Southern Cassowarry, etc. Then if you are on the lookout for some lovely and chirping birds in Saudi Arabia, they are specifically known as Common Kingfisher, White Throated Kingfisher, Tree Pipit, Arabian Wheatear, Ferruginous Duck, Daurian Shrike, Common Redshank, Wood Sandpiper, Western White Stork and much more. Are you in search of the most amazing and creative bird logo designs for inspiration in Saudi Arabia? If so, then it is of the essence for you to find a professional and well established logo design company in Saudi Arabia that could fulfill your need appropriately. With Prolines.sa, the logo design job will become much easier for you. The company has quite a prominence in creative web design and wonderful logo design in KSA. 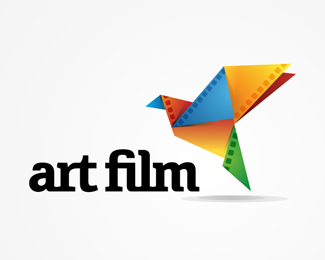 You can get the best and creative bird logo designs for inspiration in Saudi Arabia. In this post, we are highlighting 16 amazing and creative bird logo designs for inspiration in Saudi Arabia. Enjoy!